NAM is a Dutch Oil & Gas E&P company, operated by Shell. 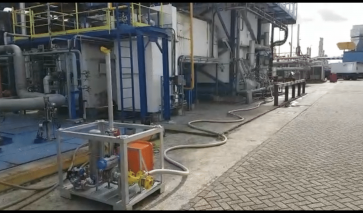 One of the valves at the NAM Tjuchem station, one of the production locations in the Dutch Groningen gas field, was leaking. 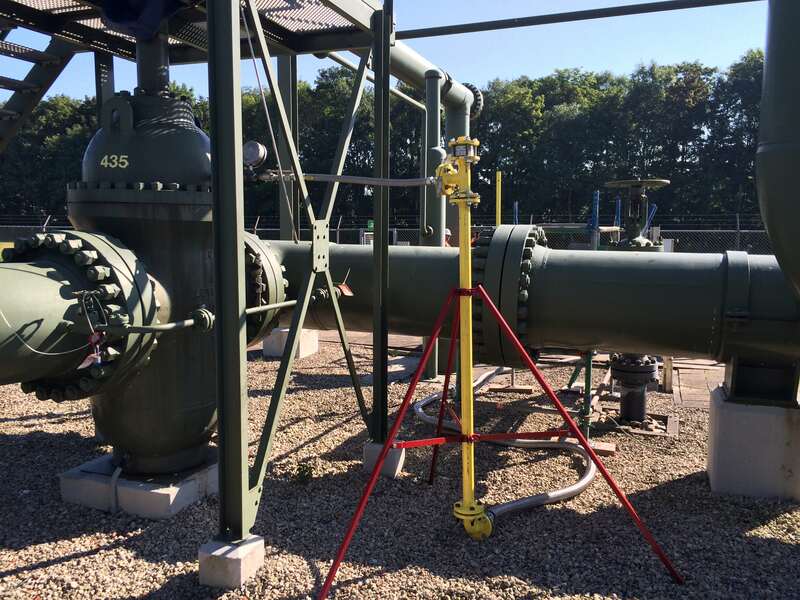 The DBB-SAVER was used to fully prevent leakage through a double acting gate valve (the valve with TAG nr. 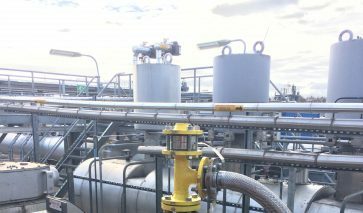 V-435 in the background of the photo), located on the gas transfer station where the produced gas is measured and transferred to the Dutch national gas grid operator Gasunie. 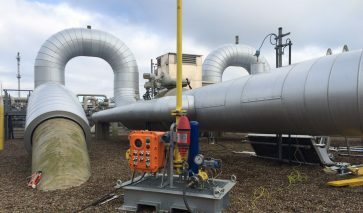 The body cavity of the valve was connected to the DBB-SAVER which handeled the in-line leak rate of 400 litres/min. easily. the long, small diameter vent bore can become blocked, e.g. by hydrate formation or dirt. Another function of the DBB-SAVER is to detect a blocked bleed connection. The DBB-SAVER blocked bleed detection prevents a blocked bleed being left undetected.